Have you ever had a flower bouquet that didn't properly fit into any of your vases? This is a perfect opportunity to get creative. My tried and true go-to option is to use a mason jar. It works particularly well with fuller, wider flowers like garden roses. 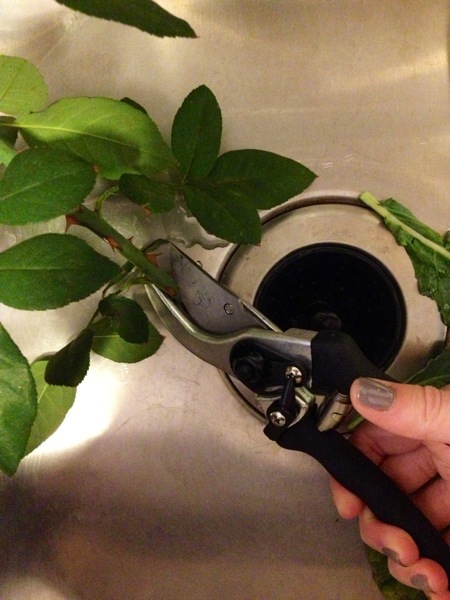 When stems are too long, especially from market-bought bouquets, use a pair of pruning shears. For around $15, it's worth the investment. Those hydrangea stems from Trader Joe's are impossible to cut with regular scissors; and who wants to bring out the cleaver and chopping block? (I try not to mix dirt with food). Remember, when cutting rose stems, cut at a 45 degree angle. It may look a bit intimidating to someone without a green thumb, but, I assure you, using pruning shears is easier than it looks. My shears weren't that easy to find, I got them at a nursery. You might as well get them online. 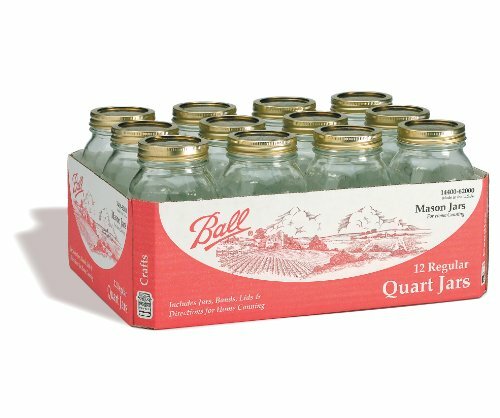 1) Other types of jars, like those for olives and pasta sauce. You can use a hairdryer to help remove the label. 2) Watering cans and pitchers. 3) Candle glasses, especially the tall, narrow ones. There are some pretty ones out there. When the candle burns out, scoop out the cooled wax. Then put it the freezer, maxing the wax easier to scrape away. 4) Tea tins, for really short arrangements. 5) Wine and other alcohol bottles. Or fancy glass water bottles, like those cobalt blue ones. These are best for long stem roses, lilies, and iris. The lighter the weight of the flower, the better, to prevent the bottle from tipping over. 6) Lanterns meant for tea light candles. Feel free to comment with other ideas!